Many older adults have multiple medications to take on a daily basis, and it can get tricky; a missed dose, an unfilled prescription, taking medications at the wrong time can lead to a decline in health and potentially serious complications. However, keeping track of prescriptions and maintaining proper medication adherence is easy with the help of Partners in Healthcare’s professional home health care providers. Sometimes the need for several different medications can cause confusion with scheduling and accurate doses. The MedReady Automatic Pill Dispenser can assist anyone needing help with medication compliance, particularly those with hearing or memory loss. The device alerts your loved one’s caregiver if a dose has been missed, and allows your care team to monitor medication compliance through a secure website. The MedReady Automatic Pill Dispenser has 28 compartments that allow clients to organize their daily medications. We can then set the medication reminder alarms for either once a day or up to four times per day. When it’s time to take your medications, the system turns the dial and unlocks the medication door, allowing clients to get the right medications at the right time and preventing the risk of an overdose. Watch the following video to see the MedReady Pill Dispenser in action. Call us at 407-788-9393 to see if the MedReady product is right for you! 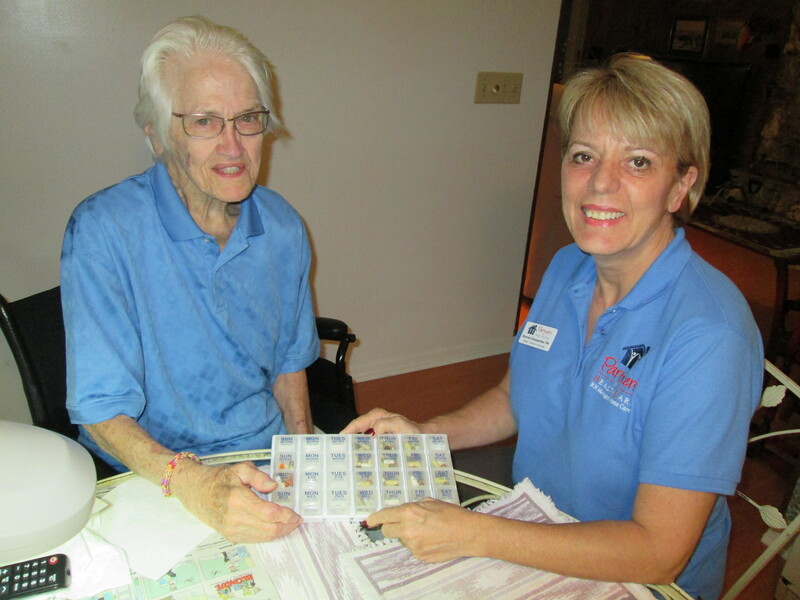 We have been providing exceptional services to seniors throughout the Florida area for years, and we can help you too! The following is a video of the MedReady automated pill dispenser. To order the Medready medication dispenser for $218.00 click the following link: www.homecontrols.com/MedReady-1750-Medication-Dispenser. On-line monitoring costs $16 per month, this service allows our nurses or your family to monitor your medication compliance. To help us track your order please enter “coupon code 184906” when placing your order. The home health care providers at Partners in Healthcare can help you manage your medication better. Contact us to learn more.